It's the most wonderful time of the year! 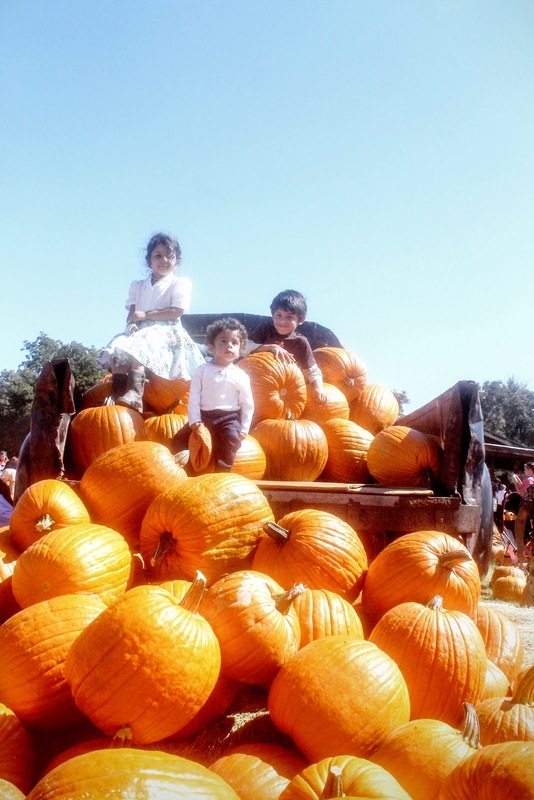 I can't help but get so excited about fall and the start of pumpkin season. Maybe it's because Halloween is coming up and I basically treat it as an excuse to dress my kids up every day of the month. 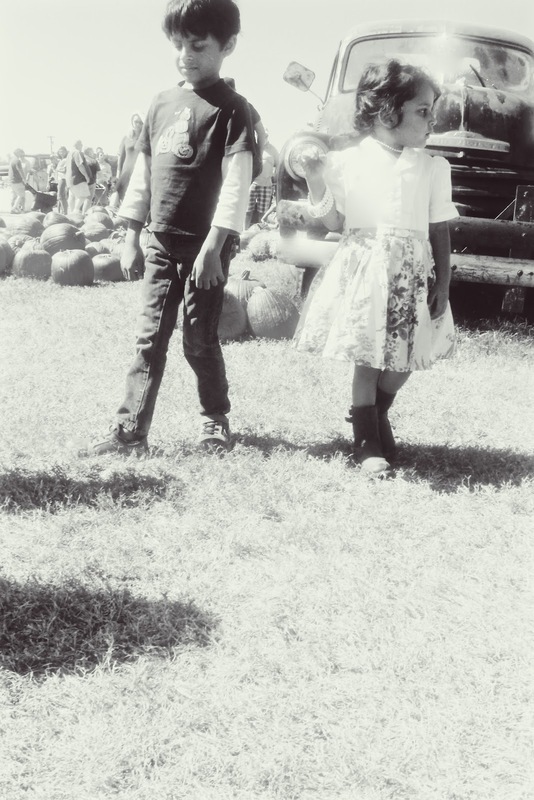 We went back to the same pumpkin patch that we visited last year and I thought it was fun to look back at the old pictures too. 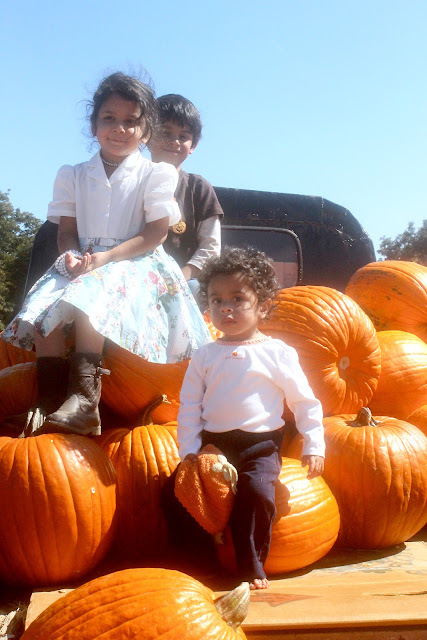 Same pumpkin patch, same kids, same wardrobe mostly. But oh my, what a difference a year makes. My tiny baby looks so grown up now! And he certainly acts it. Charging around the place like he has a lot of plans to get to. Though his baby face belies some deep thoughts behind those two little teeth. The light was a lot harsher than last year but I do like being able to see blue sky in the photos. This truck bed was a fun photo spot. They were all quite happy to perch up there and get photographed. Even Lakshman, though he doesn't wear his hat anymore like he used to. They are doing their best cowboy and cowgirl impressions here. Heehee. And, the closest thing to a group shot we are going to get. 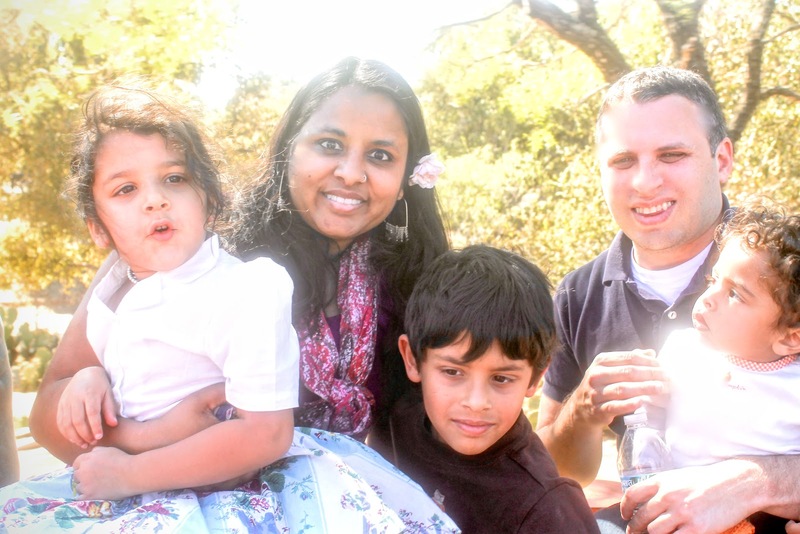 At least Nandini looks good. We went back to the farm in November last year when the weather (and lighting!) is a lot milder and I'm thinking we have to do the same thing again this year. The best was still when he picked up a baby pumpkin, tried to take a bite out of it and said "Apple??" 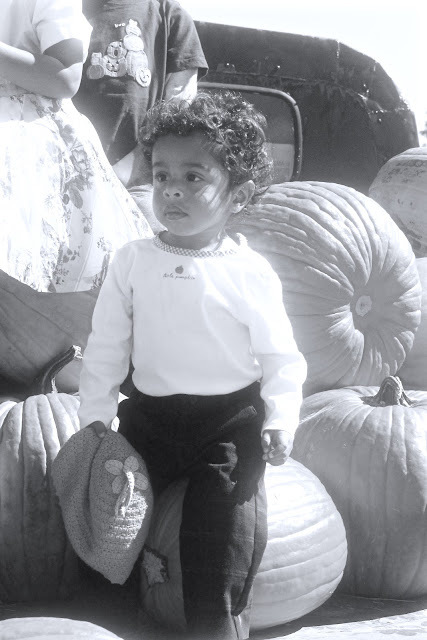 I still remember Avinash's first "pumpkin patch" experience. He was a chubby little one year old and we were completely smitten with him. 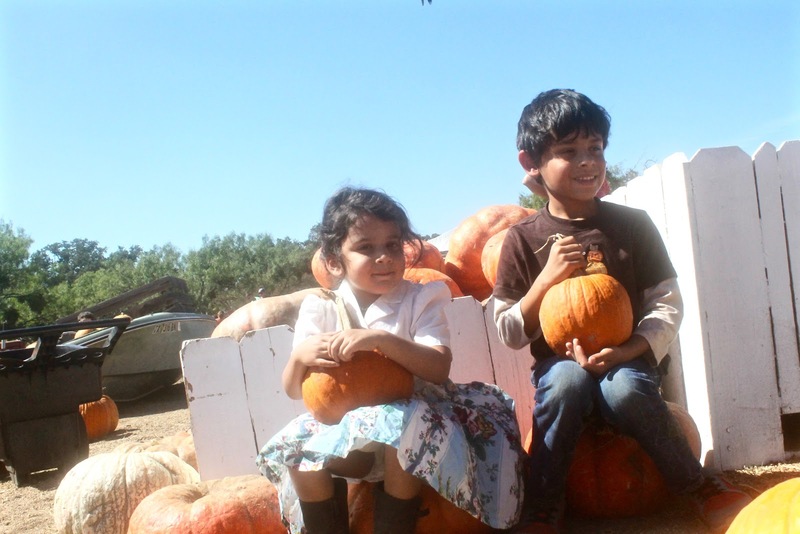 Of course we had no clue about going to real pumpkin patches or anything yet, but it the obsession was starting. And, yes, it is the same hat. See? I'm nothing if not economical.